Mom, is an upcoming film directed by Ravi Udyawar featuring Sridevi. The film is much anticipated and the first look of it created a huge frenzy. AR Rahman is composing music for the film and this is the first time the Oscar winner is composing for a Sridevi’s film. When asked about this in a recent media interaction, Rahman said, “It is such an honor to work for a Sridevi’s film. I never thought I would get to work in her film at all. I am such a big fan of her since my younger days and now she tells me – You have to do this movie- and I could not refuse her. She is an amazing actress and I am looking forward to it”. Blockbuster Bollywood director wants to work with Prabhas! Close: Dangal chasing Baahubali 2? ''If you think people come to watch heroines naked, you are wrong sir'', Manjima furious! 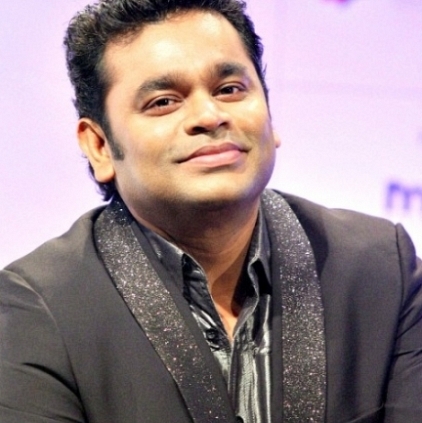 ''Very happy to see you receive the honour..'' - AR Rahman to Baahubali 2 music director! Latest addition to Thalapathy 61! Dhanush just made a massive announcement! Tamil film industry's strike pushes Vanamagan's release date! People looking for online information on AR Rahman, Mom, Sridevi will find this news story useful.